Our bottom line for you saves you money. North Country Aire has low overhead and is able to extend our savings on to our customers. We are trained and certified, licensed, bonded and insured. We take the Minnesota nice to the extreme. We look to help you in any way we can. The staff at North Country Aire are simply nice down to earth people with a mission to serve and meet your HVAC needs. We offer free estimates and our equipment comes with warranties that surpass the industry standards. We are positive you will be happy and save money by choosing to do business with North Country Aire. We are grateful for the business we have had and trust we will continue to grow and build new rewarding relationships. 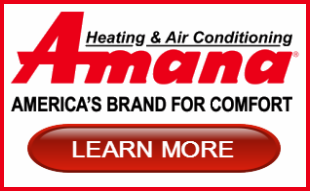 Contact us today to schedule your next needed HVAC service. Armstrong, Amana, Lennox, Goodman, Weil-Mclain, Braeburn, Coleman, Carrier, Broan,Honeywell, Lifebreath, Rheem, Reznor, Intertherm, Modine, Thermolec, White Rogers, Whirsbo, Trane, Ultravasion, Ruud, Amtrol, and Vanee. The trained experts at North Country Aire will take care of your Minnesota HVAC needs in a timely manner. We are affordable and focus on the details to provide the best service around. North Country Aire is a well established company that has been serving the Minnesota community for over 30 years. We are fair, honest and hard working Americans. Our customer satisfaction speaks for itself in that we have much of our business generated from repeat customers and/or referrals. We are genuine and flexible. Call us today for your free expert consultation and estimate. We service all brands of equipment. In fact, North Country Aire has solutions for all your heating, air conditioning and air quality needs. 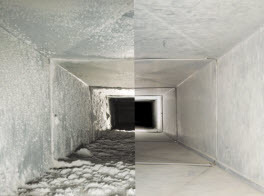 We offer duct cleaning, inspections, installations, service and repairs. We build duct work and service gas appliances, furnaces and boilers too. We have an A+ rating with the BBB. 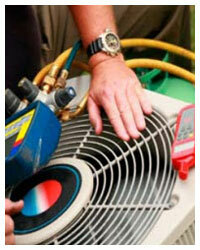 North Country Air can Service, Repair or Replace your Air Conditioner the right way. Our Certified Technicians have years of experience to ensure you job is done right the first time. 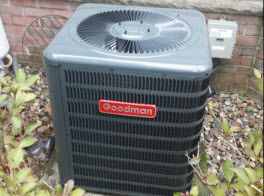 If you are having trouble with your AC, or it has just been a while since you had your system serviced, call today for the professional & friendly service you deserve. 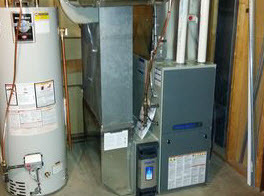 We Install and Service Furnaces, Heat Pumps, Air Cleaners, Thermostats, Water Heaters, In Floor Heating, etc. 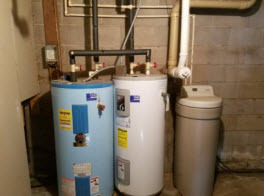 For a Quality Heating Service, Repair and Installation in Isanti, MN and the surrounding communities look no further than North Country Air. Our Quality is always higher than our prices, and we always provide professional & friendly service. We also provide additional services that include Duct Cleaning, & Air Quality, Furnace and A/C Inspection & Certification, Hook Up and run gas lines to appliances, New Construction, Storm Damage, Insurance Claims, etc. No matter what your HVAC needs in and around Isanti, MN we are your Quality Choice. Call today for a FREE Consultation & Estimate. Armstrong, Amana, Lennox, | Goodman, Weil-Mclain, Braeburn, | Coleman, Carrier, Broan, | Honeywell, | Lifebreath, Rheem, | Reznor, Intertherm, Modine, | Thermolec, White Rogers, | Whirsbo, Trane, Ultravasion, | Ruud, Amtrol, Vanee and more. © 2017 North Country Aire. All rights reserved.